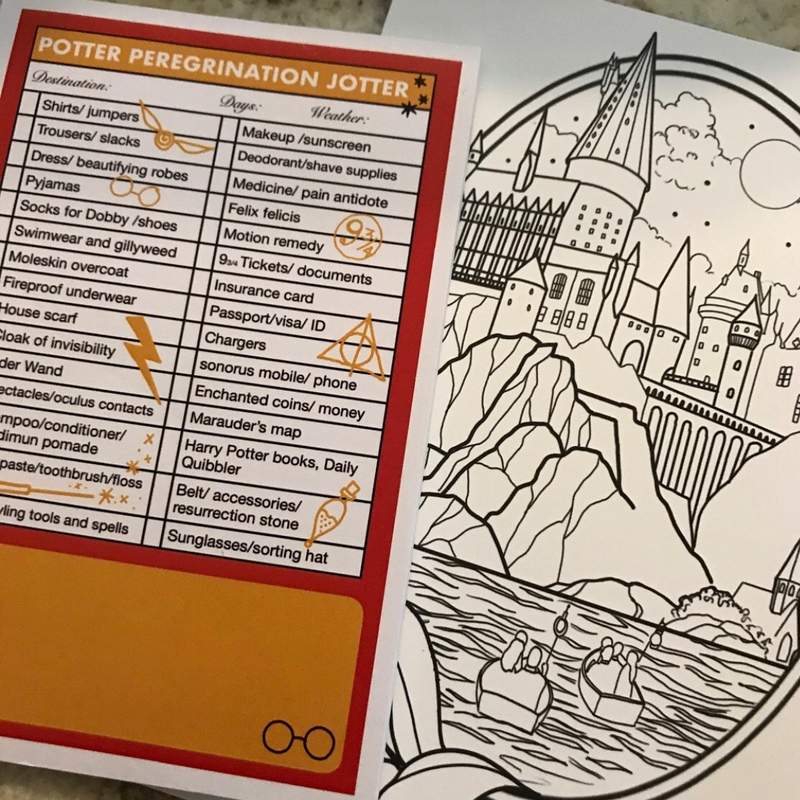 Inspired by Harry Potter. This set is in a warm rose gold colored metal. 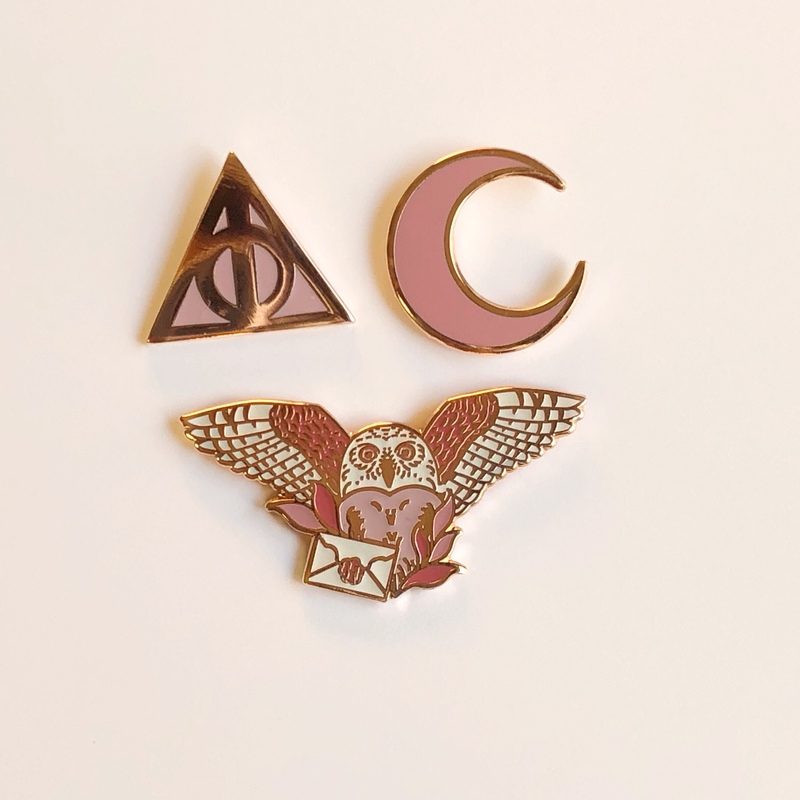 The owl pin is around 1.25” wide, the deathly hallows is slightly over half an inch, and the moon is about the seam side as the deathly hallows. There’s 2 color options, one is warm pinks and white, the other set is light purples with glitter white. They’re both hard enamel. 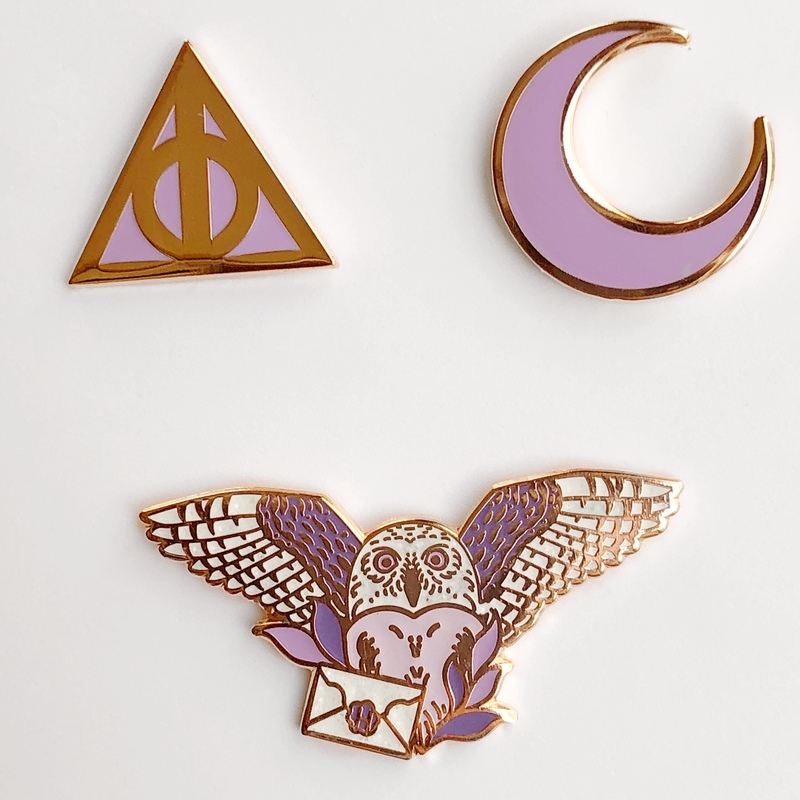 This set is super limited! I only have 17 of each color!